A tooth abscess, also called abscessed tooth, is right up there with root canals, subjects that we all need to be aware of in order to have a clear understanding of what to do if we have an abscess as well as how to avoid ever having a tooth abscess. Anyone who has ever had an abscessed tooth would tell you that they would have done anything to avoid the pain of an abscess. In this first article on dental abscesses, let’s explore what causes abscesses and strategies you can apply to avoid ever having one. An abscess simply is a ‘pocket’ of pus from an infection in the mouth. Have you ever had a splinter in your finger or foot that got infected? Do you recall the pus that accumulated around the splinter? That was your immune system showing up to fight the infection. Well, that’s essentially what an abscess is. A collection of pus that the immune system has created to mount a defense against an infection. There are two main types of abscesses in the mouth. A periodontal abscess originates in the gum pocket and is directly associated with advanced gum disease, also called periodontal disease. A periapical abscess is located at the tip of the root of a tooth. We’ll refer to these two main types of abscess simply as a gum abscess or tooth abscess. Signs and symptoms can vary widely depending on the type of abscess you’re dealing with. Where gum abscesses aren’t necessarily painful, the main sign of a tooth abscess is a very strong constant pain. All abscesses (with a couple rare exceptions) are a result of a chronic infection. If the infection originates in the gum pocket, then gum disease is the cause of the abscess. You can read more about this type of infection in a gum pocket by reading how Susan effectively addressed advanced gum disease in her own mouth (without dental intervention). If the infection is located at the tip of the root of the tooth, then the abscess is the result of an infection from within that tooth or the region surrounding that tooth. In both cases, the immune system is dealing with an infection. However, different than the splinter example above, these infections are chronic. Gum (periodontal) abscesses are from gum disease, an imbalance of disease-causing microbes that have colonized under the gum line. Tooth (periapical) abscesses are primarily caused by a tooth becoming so decayed that the pulp becomes infected. They can also occur from a root canal gone bad. In both cases, the health of the tooth is severely compromised, a major battle is cooking, and the abscess is the ‘sign’ of trouble. How do I know which type of abscess I’m dealing with? While this may get a bit graphic for some, the location where the abscess tries to drain the pus will give you a big clue whether you are dealing with a gum disease based abscess or a tooth based abscess. You see, one of the ways our immune systems show up to fight an infection is by recruiting a lot of white blood cells to the infection site. Once the white blood cells do what they can, they die and accumulate at the infection site. We know this accumulation of dead white blood cells as pus. Once the pressure builds up in the abscess, it tries to find a way out to relieve the pressure. Seeing where the abscess ‘vents’ is very helpful to determine which type of abscess you’re dealing with. If the pus comes from within the gum pocket, this is a sure sign of a periodontal abscess and an unquestionable sign that you have periodontal disease. If, however, the pus forms a boil on the side of the gum tissue and ruptures into the mouth (I know, it’s gross but important), then this is a strong sign that it’s a tooth abscess. Also, please note that it’s possible to have an infection and resulting abscess of both the periodontal pocket and the tooth root. Sometimes a person can have an abscess (aka strong pain associated with a region in the mouth) and not have any ‘external’ signs of an abscess through the expression of pus from the infection site. These abscesses are particularly problematic as the increasing pressure of the abscess doesn’t have anywhere ‘outside’ to go, so the pus ruptures into internal tissues. It’s a chronic infection. At the risk of being a bit dramatic, chronic infections are the ‘stuff’ that living beings die from. The extreme pain associated with an abscess is there to shout ‘Pay attention to this area! We’ve got trouble over here!’. If left untreated, an abscess originating from gum disease will continue to destroy the jaw bone that anchors the teeth in the mouth and causes tooth loss as well as provides a chronic source of ‘bad bugs’ that directly undermine the health of the whole being. If a tooth abscess is left untreated, the infection will build and spread into the surrounding region, destroy any tissue (bone, muscle, doesn’t matter) in its path as it seeks a way to release the building pressure. Depending on the location of the abscess, it can even directly cause loss of vision, facial paralysis and yes, even death. While these mostly localized issues are big enough, recent research very clearly points the finger at chronic oral infections as being a major source of systemic inflammation. Systemic inflammation is the underlying cause that drives heart disease, cancer, arthritis, diabetes, and many other ‘big hitters’ in our global culture. An abscess is one of those situations where a trip to your helpful dentist would be a really wise choice. While this subject of how to avoid having an abscess is a bigger subject than we can cover in one article, let’s get you headed in the right direction right now. We suggest addressing any oral health issue from a ‘two prong’ approach. On one hand, we must address this issue ‘at the site’ of the infection. On the other hand, if we want to stop the risk of an abscess for good, we must strengthen our ‘whole system’ immune response. After all, only if we raise the health of our whole system can we expect our immune system to be able to effectively stop chronic infections. To explain why system-wide immune support is foundational, let’s use the analogy of a city fire department. If a city has a building on fire, the fire department shows up in a hurry and applies the full force of their firefighting capabilities to put out the fire. This is how we want our immune system to function. What happens, however, if the city has 10, 50 or 100 fires burning all at once? The fire department can’t respond to all the emergencies, right? They just don’t have the resources to address all the fires sufficiently. So, they determine which fires are more critical to get under control and which fires can be allowed to burn. Another option the fire department has is to spread their forces thin and just try to control all the fires from getting bigger. But spread out too thinly, they lack the resources to be able to mount a strong enough defense to put out any of the fires. So they all smolder and slowly burn. This analogy parallels what happens in our bodies every day. If we don’t do the right things to support greater whole being immunity, we are simply going to stretch our immune systems too thin and some fires (infections) are going to keep burning and not be addressed. The reason oil pulling is so helpful in addressing oral health challenges is because it supports both the ‘in the mouth’ needs while it helps ‘system-wide’ immune function. 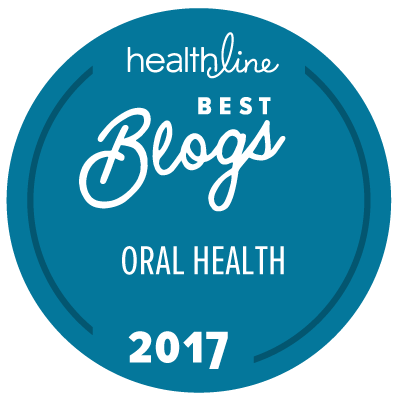 While we question whether oil pulling will singlehandedly heal an abscess, regular oil pulling is a great adjunct therapy to help create greater oral health. While sesame oil is used traditionally, we like to use coconut oil because of it’s flavor and it’s antimicrobial properties. If you aren’t familiar with oil pulling, here’s an article that explains how to practice oil pulling as well as how oil pulling benefits our oral health and whole body wellness. There is much you can do to help knock down an oral infection. If it’s a periodontal abscess, you can directly and significantly reduce the infection yourself. Check out our HealThy Mouth System for more information on how you can make huge changes in your oral health very quickly. Through the use of natural antimicrobials combined with specific strategies to help mitigate the imbalance of bad bugs in the mouth, it’s amazing how quickly the body heals itself (yes, even from advanced gum disease). Here’s a case study of how one woman with advancing periodontal disease shocked her dentist with the amount of improvement she was able to accomplish in just 42 days! Another option is to vigorously swish with salt water for several minutes. Vigorous swishing like oil pulling will activate the immune system in the area while the salt works to fight the infection. Just dissolve some salt in water and you have a powerful, inexpensive home remedy to support the healing process. The good news is taking immediate positive actions will make a huge change quickly. Eat foods that help support greater oral health. Reduce or eliminate foods that undermine your oral health. Make sure you take time to laugh and play. Even simple steps like taking more vitamin C can really help. Any of these steps will provide your ‘fire department’ more resources in order to mount a better, stronger immune response. What about you? Have you ever had an abscessed tooth? What did you do that helped? How did you handle the situation? If you’d like to know what questions to ask to find a dental team who will work with you on your journey to greater oral health, feel free to download our FREE Guide to Safe Dentistry. I wish you had all this info available in audio or on youtube. It would be much easier for me. I have had the first step to a root canal done last week. I have antibiotics in tooth with a sealant on the toothe temporarily. I am to go back soon to finish the procedure. Should I cancel the second part of this ??? I’m freaked out now after reading up on root canals. I already have 2 other root canals , and I have throid disease as well. My only concern about cancelling the rest of the recent procedure is that I have a mission trip on march 28th. It’s not a place where I could receive helpif I end up on pain. While we are obviously very wary of root canals, I think it would be unwise to cancel the second half of the procedure. My guess is the tooth has already been killed and a temporary filling has been placed while the crown has been ordered to be prepared in a dental lab. Hmm, I really don’t know what the ‘best’ path is for you Julia. If I were in your shoes, I would complete the procedure (making darn sure that the region is very well cleaned out prior to placement of the crown) and take a ‘watch and see’ approach. Make a note in a journal or calendar dating when you had the procedure done. That way, if your health begins to decline, you can see if there is a correlation to the dentistry. We generally don’t think that whole body ill health has any relation to our oral health. This is a myth we are confident that our culture will rudely awaken from in the years to come. After all, the mouth is the ‘headwaters’ to the whole body, the beginning of the stream that is home to 80% of our immune system. If we ignore this fact, we unfortunately may put ourselves in harm’s way. I enjoy your articles. I have had three root canals over the years and after studying about them i decided to have them pulled, one had obviously become infected while the other two had not. The dentist informed me all three were infected and it was a good thing I had them removed. On another subject I am not aware of any articles on wisdom teeth. I had mine remover has a child and recently had them de brided. One had a hidden pocket of puss hidden in my jaw bone. Upon removal my health immediately showed improvement. Thanks for the great articles. I am looking for information about whether there’s any chance to heal an abscess at the root of a NON root-canal tooth, though I’m told it is dead. It is under a crown. I have no symptoms except the “bubble” that can be seen in the x-ray. No pain or external swelling. I believe I will have it pulled out and cleaned out, but if there’s some hope of keeping the tooth without poisoning my system, I’d like to try. I will start oil pulling every day, any other advice? Absolutely! Consuming H202 as a daily protocol will keep the infection from spreading, and possibly eliminate it. Try some searches like “H202 and pathogens” or “consuming H202”. You will run into a lot of anti-H202 propaganda, but do your research. I don’t have time for a full essay on what it has done for me, but here’s a quick rundown: First, day 12 my lungs felt clear. I can take deep breaths with no tickle. My energy level has at least tripled. I started going to bed at a decent hour instead of resisting sleep. Next, day 15 I lay in bed marveling that my stomach felt PERFECT! No burning. “This is what it’s supposed to be like to be human!” I told myself. there is SO MUCH MORE but I can’t explain it all right now. Must go. I have a root tip tooth abscess. H202 stopped infection from spreading. I stopped taking the H202 three weeks ago, wondering if it had gotten rid of the infection completely. No, I’m starting to feel it again now. Not with pain, but with the sensation of the tooth feeling different, ticklish. I’m getting back on the H202 tomorrow to prevent it from spreading while I wait for my appointment.